My second attempt at gluten-free pastry for mince pies and this one scored a superb 10/10 from my husband who says I can make as many as I like !! The beauty of this pastry is that it can be stored in the fridge for up to a week, or in the freezer for up to 3 months. A sweeter pastry – easy to roll and cut out with the advantage of being able to store it in the fridge until you are ready to use it. Half of the pastry made 12 good-sized mince pies (I found it easier to roll out in two halves and between parchment). I used coconut sugar which gave the pastry a golden colour. Mix the almond meal, flour and arrowroot in a bowl. Cut the coconut oil into very small pieces and work it into the almond meal mixture with your fingertips until it forms fine breadcrumbs (alternatively, use a food processor which is what I did). Add the sugar and the eggs and mix until a dough is formed. Dust your work surface with arrowroot and turn the dough out and knead until smooth. The dough will be slightly sticky. Wrap the dough in clingfilm and chill it for about 30 minutes, or until firm enough to roll out. Roll the dough out between two pieces of baking parchment until 5mm thick. If necessary, put the baking paper and dough back in the fridge to firm up again although I didn’t need to do this. 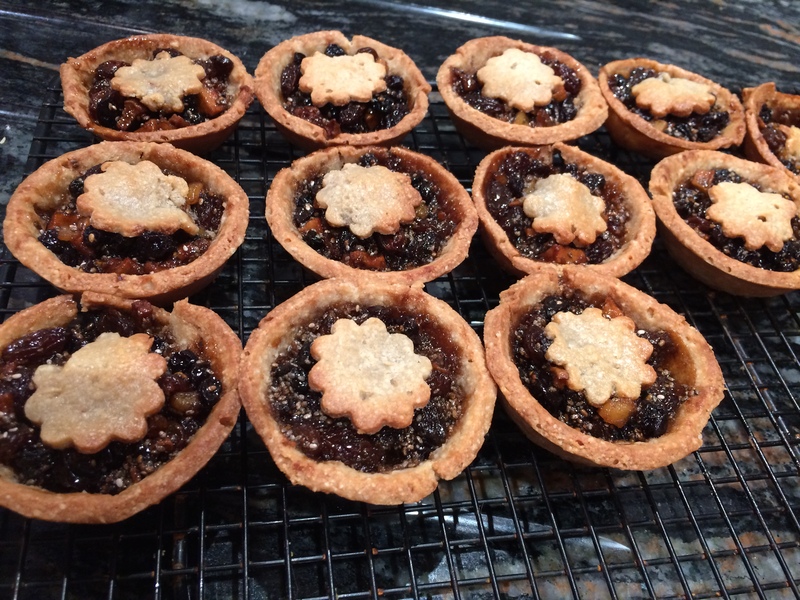 Remove the top layer of baking parchment and cut out circles to fit your tins (about 3”) and either slightly smaller ‘lids’ or stars to top the mincemeat. Line the patty tins carefully and fill with a heaped teaspoon+ of mincemeat. Top with a lid (slightly dampen the edge) or a star. Bake for 15 minutes at 160°C until the pastry is golden. Leave to cool for 5 minutes in the tins then transfer to a wire rack to cool completely. 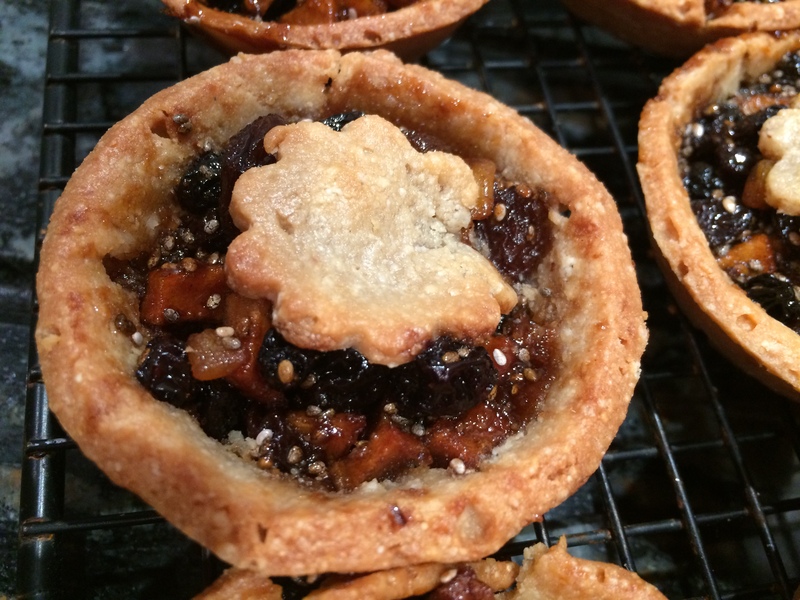 This entry was posted in Miscellany, Sweets and Treats and tagged almond meal, coconut flour, Coconut Sugar, Cooking, Gluten Free, Healthy Eating, Mince Pies, Pastry, Recipes, Vegetarian, Wheat-Free. Bookmark the permalink.